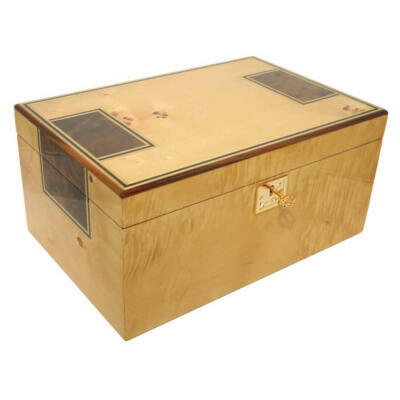 Crush PROOF solid Spanish Cedar for superb taste! Unique Travel Humidor superior design travel case. 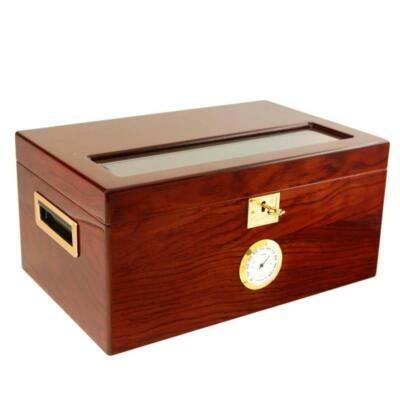 This is a two slot solid Spanish cedar travel humidor which will accommodate two 50 ring gauge cigars up to 8 inches long. 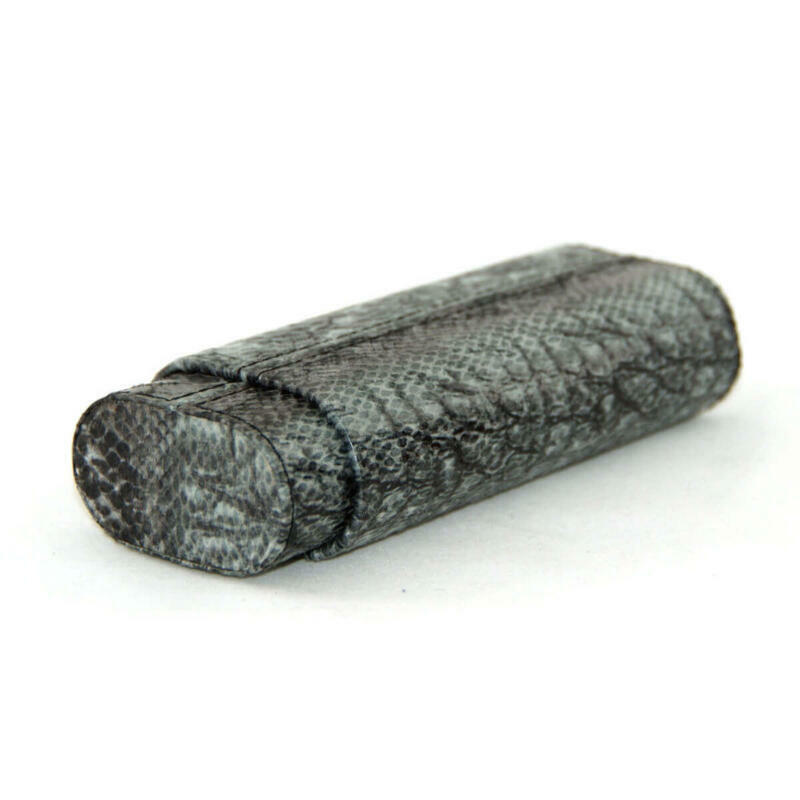 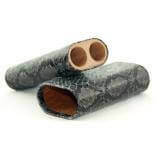 Has a Python Snake Skin wrap with black stitching. 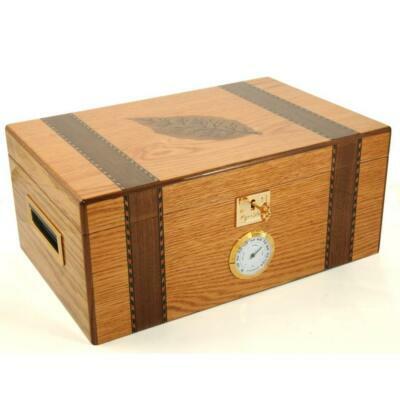 The inside of this travel humidor is made completely from Kiln dried Spanish cedar both top and bottom. 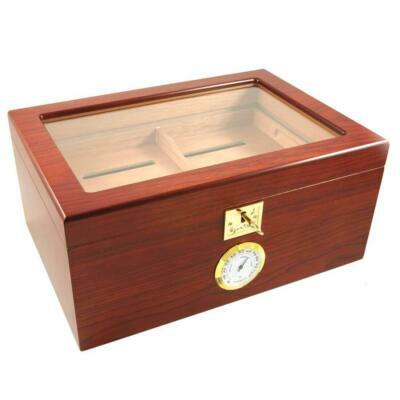 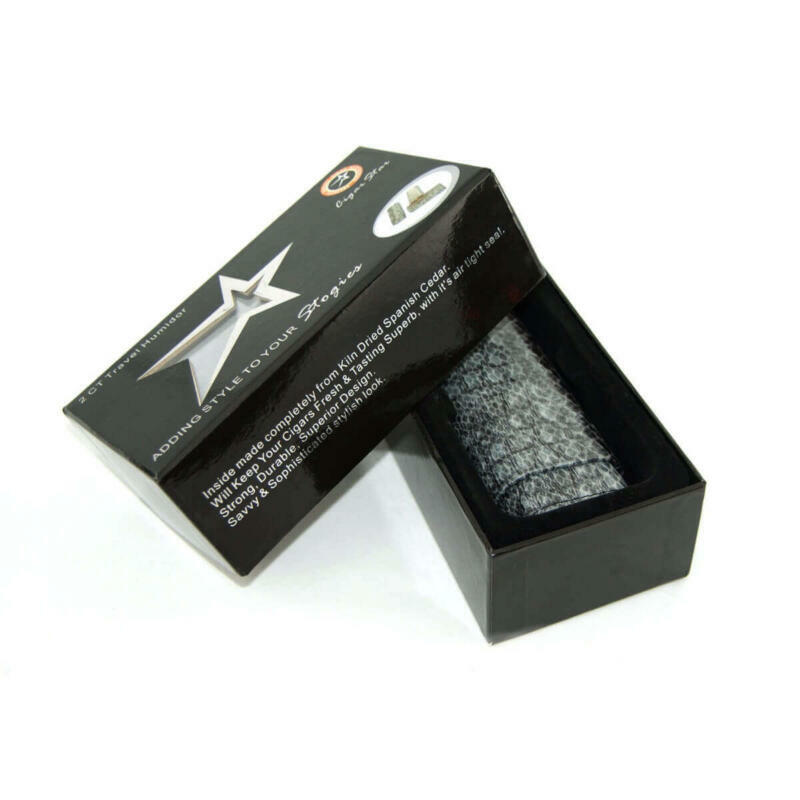 Will Keep your cigars fresh and tasting superb with an air tight seal! Light weight, yet strong and durable. 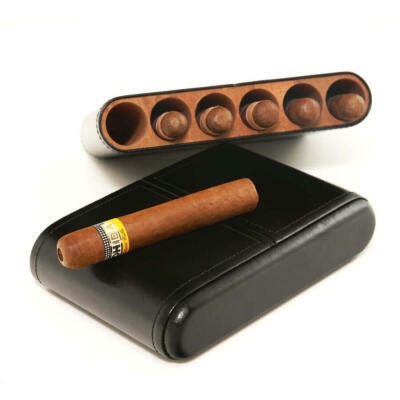 This travel humidor will keep your cigars safe, and adds style to your stogies! 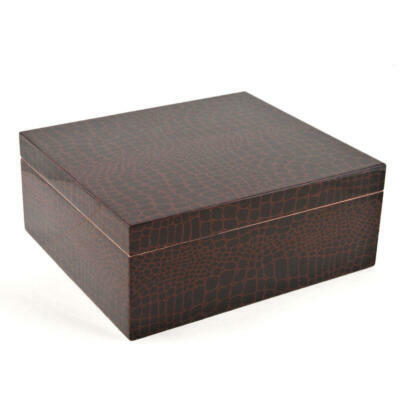 Contrast stitching on the top and bottom and down the back give it a savvy and sophisticated stylish look! 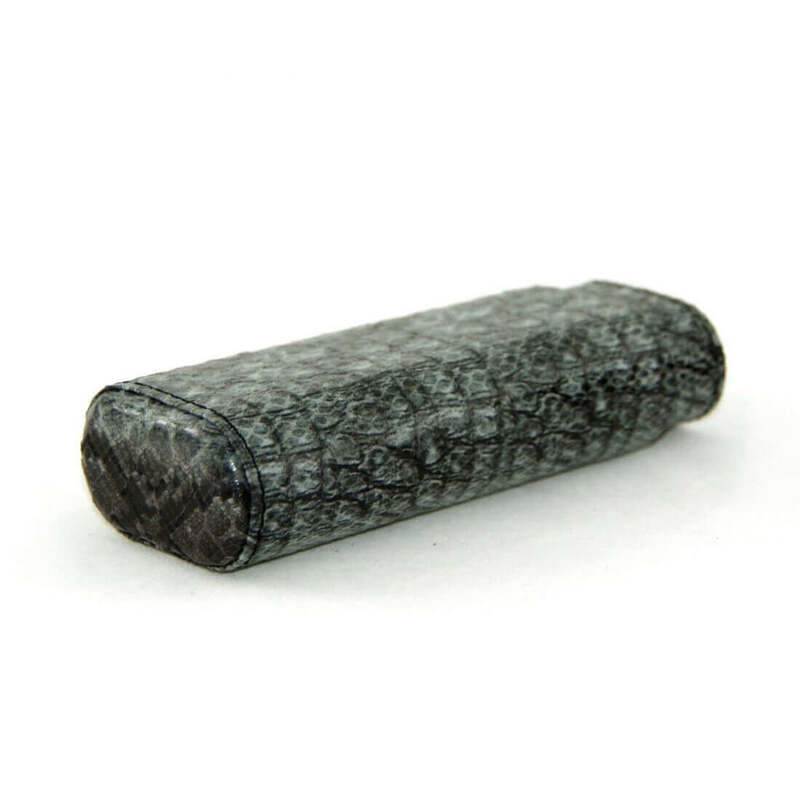 If you are looking for a unique, stylish travel humidor that will impress your friends and keep your cigars fresh and safe from damage then look no further.